Delicate items such as dinner sets, china and glassware require special protection in transit, therefore may be tricky to ship. Knowing how to package them correctly will minimise product damage, costs associated with returns and unhappy customers. 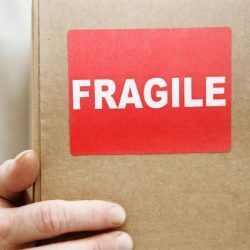 Below are a few packaging suggestions to help you ensure your fragile products arrive with customers damage-free. Wine, champagne and spirits are a great gift idea but can be awkward to package due to their delicate nature and irregular shape. Air cushioning solutions, such as Airsac inflatable packaging, offer first-class protection, even if your parcel is accidentally dropped during handling. Paper cushioning solutions including Geami WrapPak® are ideal for sending items such as dinner sets, vases, and other glassware. 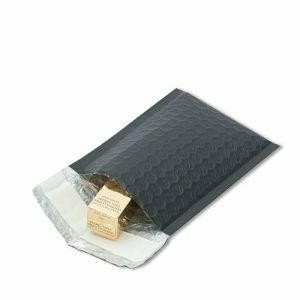 Geami is composed of a tissue lining with an innovative 3D honeycomb outer paper which helps protect the contents against drops, kicks and shakes throughout the entire shipping and handling process. It also allows multiple items to be packed into the same box, is very easy to recycle and ensures your products look stunning when opened! Korrvu inserts are another perfect solution to ship delicate items such as cosmetics, perfumes and electronics. The insert firmly secures your goods inside the box, protecting them from rattling around and offering superior blocking and bracing protection against damage. It also ensures your products are beautifully-presented to your customers, helping to deliver the WOW factor and a memorable unboxing experience with your brand. Products such as DVDs, jewellery and smaller beauty products can be safely shipped in a bubble-lined mailer for extra cushioning. 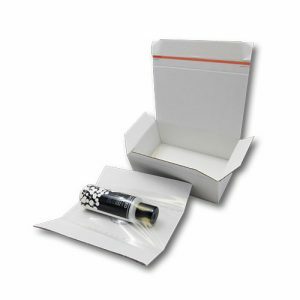 The mailers often come with a self-seal strip for enhanced protection (strong adhesive prevents mailers for opening in transit and can deter tempering) and effortless packing, which makes them an easy, all-in-one packaging solution. They also look smart and offer a good fit for your products as they are available in a wide range of sizes! If you would like to find out more about any of the products mentioned in this article or discover other protective packaging solutions, contact Macfarlane Packaging today.